The Lakeside 422 three-level utility cart is easy to navigate with four 4-inch swivel casters. 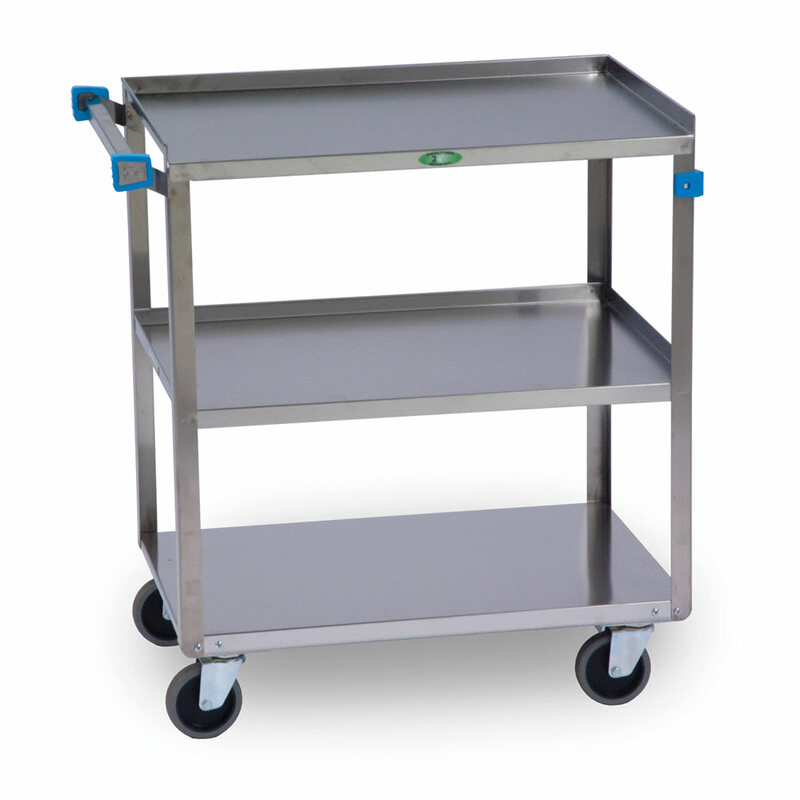 The stainless steel handle is welded to the frame and allows you to guide the cart. Protective bumpers on the handle and legs help prevent damage to your walls, doorways, and furniture. Reinforced for durability, the 27-inch-by-18-inch shelves are constructed of stainless steel to provide durability and resist corrosion. 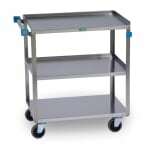 Raised ledges around the shelves keep product securely on the Lakeside 422 utility cart while in transport. The panels under each shelf are sound deadening to restrict vibrations and noise.